Struggling Florida homeowners will receive $8.4 billion through loan modifications, lowered principal and other relief as part of a landmark $25 billion federal-state agreement with the country's biggest mortgage servicers. Florida Attorney General Pam Bondi confirmed the state's participation in the settlement Thursday morning. "This agreement holds banks accountable and puts in place new protections for homeowners in the form of strict mortgage servicing standards," Bondi said in a statement. The groundwork for the deal was paved Wednesday after California and New York, two of the biggest holdout states, agreed to participate. Federal and state officials had been negotiating more than a year, probing accusations that lenders had used robo-signers and false documentation to speed up the foreclosure process. • An estimated $7.6 billion in benefits from loan modifications, including principal reduction, and other direct relief. • About $170 million in cash payments to Florida borrowers who lost their home to foreclosure from January 1, 2008 through December 31, 2011 and had "suffered servicing abuse." • About $309 million toward refinanced loans to Florida borrowers who are currently "underwater" with their mortgages worth more than the value of their homes. • A direct payment of $350 million to the state of Florida. If you think you should be included in the payout, don't hold your breath. Because of the complexity of the agreement — the biggest such settlement since the Tobacco deal of 1998 — federal officials said that borrowers will not immediately know if they are even eligible. Over the next 30 to 60 days, negotiators will pick an administrator to handle logistics of the settlement and to monitor compliance. Then it will take another six to nine months for the administrator, the attorneys general of 49 states and the mortgage servicers to identify which homeowners would qualify for immediate cash payments, principal reductions and refinancing. Those eligible will receive letters. The settlement will be executed over the next three years. 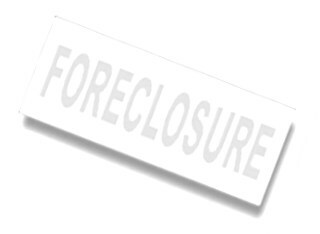 For more information, go to www.nationalmortgagesettlement.com.The site, set up by the government, offers details about the deal as well as contact information for the five lenders who are participating: Ally/GMAC; Bank of America; Citi; JPMorgan Chase and Wells Fargo.